Amazing Black Friday and Cyber Monday tech deals are available but won't stay for long. Don't miss out! For more than half a century, Black Friday has been the official start of the Christmas shopping season in the United States. It takes place after Thanksgiving and it’s one of the busiest shopping days of the year. All retailers offer huge discounts and there are thousands of Black Friday tech deals to choose from. Throughout the past decades, Black Friday expanded worldwide and online. 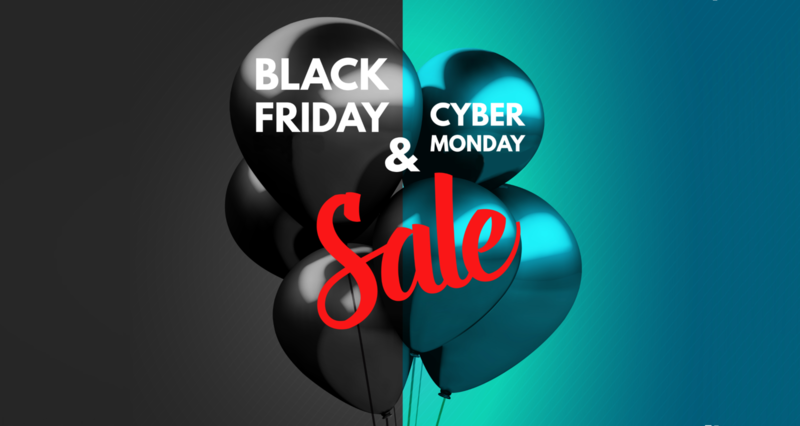 Shoppers soon realized a day is not enough to grab all the deals, especially with the stores being overcrowded, so retailers responded by creating Cyber Monday – the online version of Black Friday. 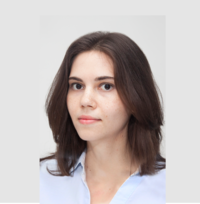 Both days are now part of what is commonly called Cyber Week, a term coined by Forbes in 2013 when it was clear that the shopping frenzy lasts for more than just a few days. According to a report by the National Retail Federation of the United States, more than 30% of retail sales occur between Black Friday and Christmas. However, Black Friday and Cyber Monday remain the most important days for shoppers, with over 60% of consumers choosing one of these days to make their purchases. With so many people searching for the best deals, you need to make sure that you won’t miss out. Amazon is teasing discounts of up to 50% and Prime members get free shipping, no matter how large the order is. For under $200, you can get a smartphone with an advanced dual-lens camera and a long-lasting battery. The main camera module of the Asus Zenfone 3 Zoom is comprised of a 12-megapixel wide angle lens and a 12-megapixel telephoto lens. The camera has four-axis optical image stabilization, 2.3x optical zoom, and 4k video recording. The 13-megapixel front camera offers a variety of shooting modes, including selfie panorama, slow motion, and timelapse. 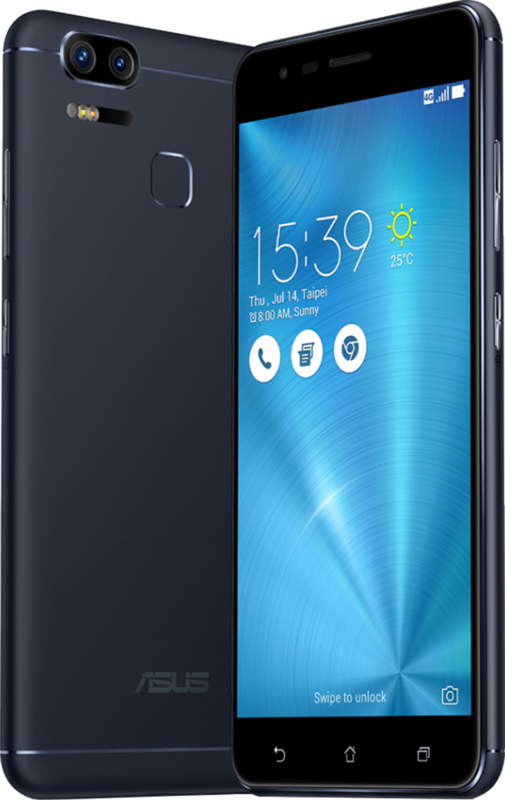 Besides the great camera, the Asus Zenfone 3 Zoom is quite powerful for a budget phone: 3GB of RAM, an octa-core Snapdragon processor with a clock speed of 2GHz, and 32GB of internal storage (expandable up to 256GB with a microSD card). The best part: the 5000mAh battery can last for more than one day on a single charge. Released in spring 2018 at the Mobile World Congress, Samsung's Galaxy flagship proved to be one of the best phones of the year. The device has a stylish glass design, durable nevertheless - it's waterproof (IP68) and protected with Gorilla Glass 5. The phone is powered by an octa-core chip coupled with 4GB of RAM and comes with Android 8.0 Oreo. 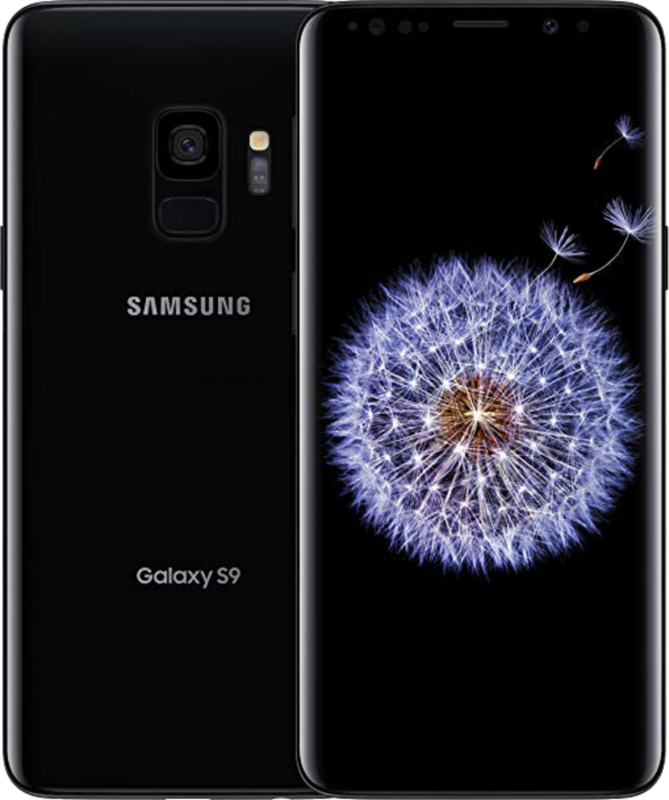 In the US, Latin America, and China, the Galaxy S9 is available with the Qualcomm Snapdragon 845 chipset, while the other countries receive the device with Samsung's own chipset, the Exynos 9810 Octa. 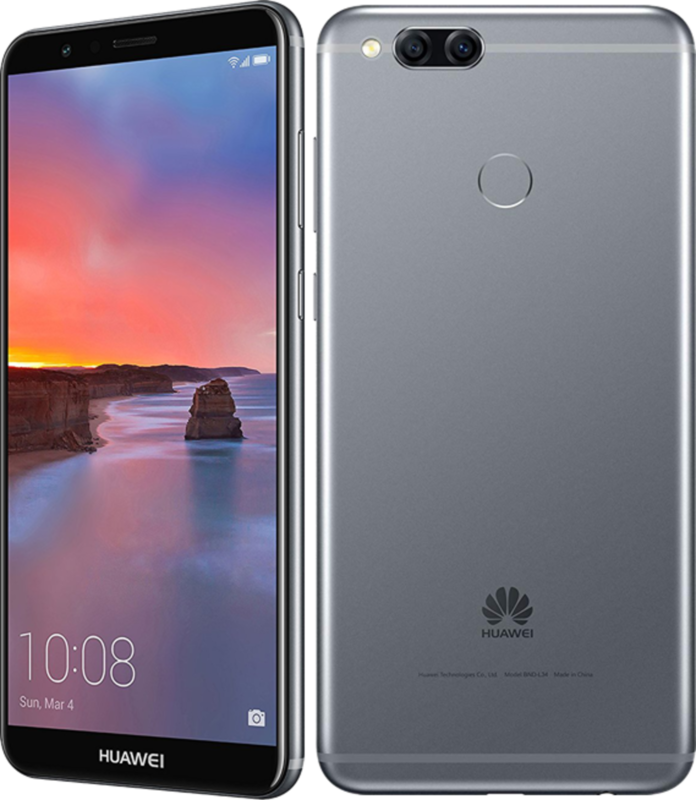 The phone has a 12-megapixel main camera with optical image stabilization, phase detection, 4K video recording, and a lens with variable aperture f/1.5-2.4) that significantly improves the camera's performance in low-light. Bixby, Samsung's smart AI assistant, is integrated into the camera and allows you to perform real-time translations, identify objects or landmarks, and do quick image searches. Huawei Mate SE is a budget smartphone with a flagship look. It has a FullView Display with an 18:9 aspect ratio, like the Samsung Galaxy or LG flagships, in a compact form factor. The large 5.93-inch screen has a resolution of 1080 x 2160 pixels and a pixel density of 407 pixels per inch. With this screen and the DTS surround system, the phone is perfect for watching videos or playing games. The phone is powered by the octa-core HiSilicon Kirin 659 chipset and comes with 4GB of RAM. Huawei's strength has always been photography and the cameras on the Mate SE make no exception, even if this is a budget phone. The dual main camera has a primary 16-megapixel lens and a 2-megapixel lens that come in handy for creating the bokeh effect in portrait mode. On the front, there is an 8-megapixel camera with an aperture of f/2.0 and a wide angle lens for group selfies. Known worldwide for its amplifiers, Marshall is one of the best manufacturers of high fidelity audio equipment. 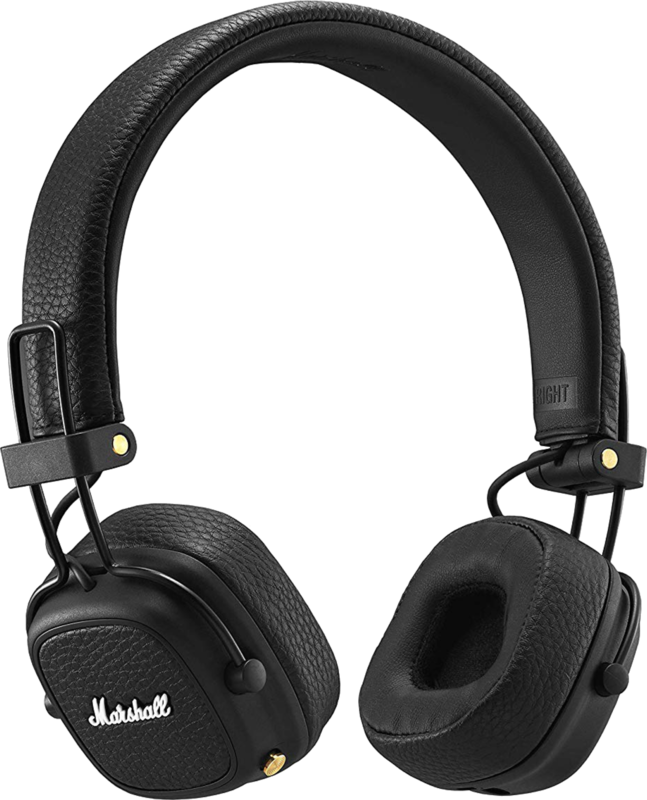 The Marshall Major III wireless headphones impress not only with their sound quality but also with their design. These lightweight on-ear headphones are very comfortable to wear and, thanks to the powerful battery, you can enjoy your music for 30+ hours on a single charge. They have 40mm dynamic drivers, custom tuned to provide enhanced bass sounds. You can connect the headphones to your mobile device via Bluetooth aptX or use the provided 3.5mm cable. Whether you use them wireless or wired, you will definitely enjoy the smooth sounds covering a frequency range of 20Hz-20kHz. 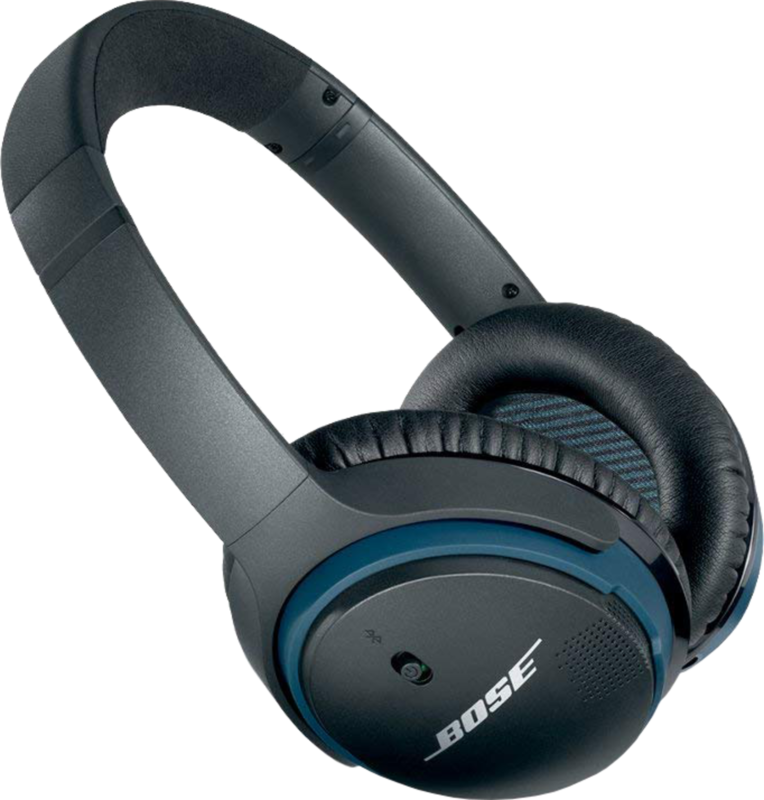 Bose, another leading audio equipment manufacturer, offers a wide range of wireless headphones. While the current flagship headphones cost well over $200, you can get one of the top models from the previous generation for less than $100. The Bose SoundLink II is a comfortable wireless over-ear headset, providing up to 15 hours of playtime. The headset has an advanced HD Voice microphone system that guarantees clear calls even when it’s windy. In addition, controls on the earcup let you control calls without reaching for your device. Released in September 2017, Amazon’s latest Fire tablet offers great specs at an affordable price. With a 10-inch high-resolution screen (1920 x 1200 px) and high pixel density (224ppi), the tablet is perfect for watching videos or playing games. It’s 30% faster than the previous generation Fire tablet, with a quad-core processor and 2GB of RAM. Like all Fire tablets, it supports Alexa, but it’s first one to feature the hands-free mode, which allows you to voice commands to control smart home devices and easily get responses from Alexa even when the device is in sleep mode. The battery lasts up to 10 hours and it takes only 5 hours to fully charge the device. Discounts ranging from 14% to 43% are available on Amazon for select Samsung tablets. 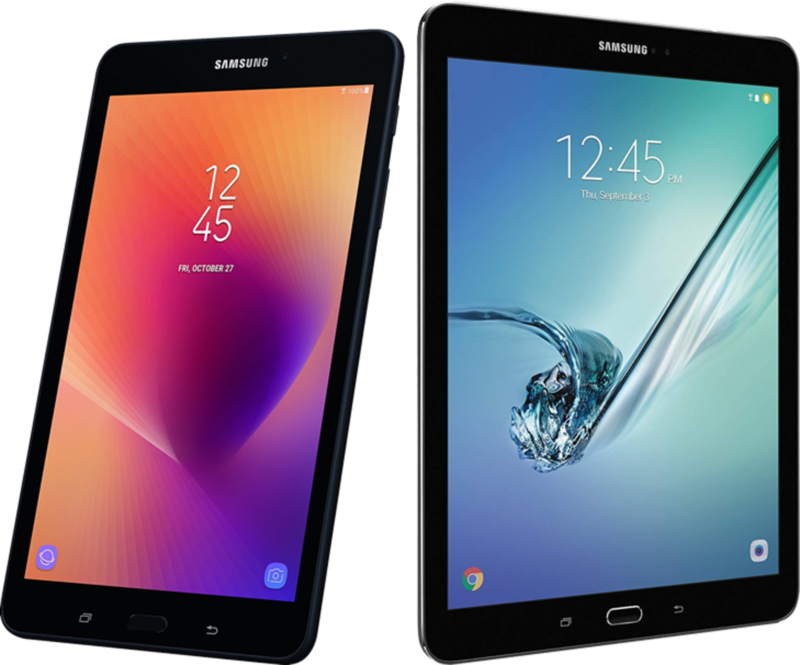 While the newer models like the Galaxy Tab S4 get smaller discounts, the models released in 2016 or 2017 get major price cuts. The Samsung Galaxy Tab A 10.1", for example, can be bought for around $150. Despite the fact that it was released two years ago, it's still a bargain for this price. Samsung tablets are well-known for their sharp and bright screens, whether AMOLED or LCD with IPS. Most of them work with a stylus so for reading, taking notes, and browsing the web, these tablets won't disappoint you. Bookworms will definitely be thrilled to find out that they can save $30 on the Kindle Paperwhite e-reader, which will be available starting November 19th for the special price of $89.99. 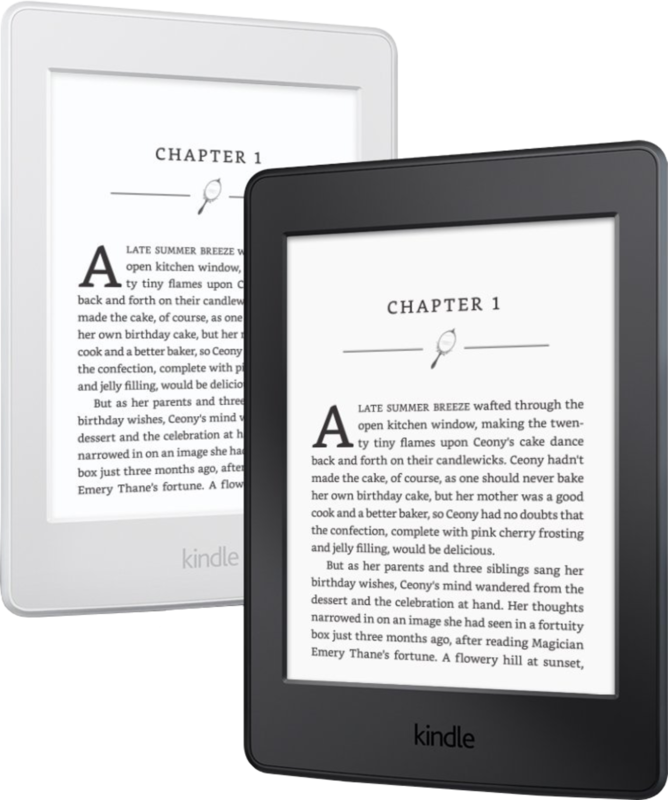 This is the company’s best-selling Kindle and a great choice for Prime users, as it offers unlimited access to more than 1,000 titles. Its high-resolution 6-inch display has a pixel density of 300PPI and a built-in light, so your eyes won’t get tired after hours of reading – and you can definitely read for hours, as the battery lasts for up to six weeks! Most kids nowadays are digital natives, and making sure that the devices they use are safe and appropriate for their age should be a priority for parents. With devices designed especially for children, parents don’t need to constantly keep an eye on their kids while they are playing or streaming cartoons. 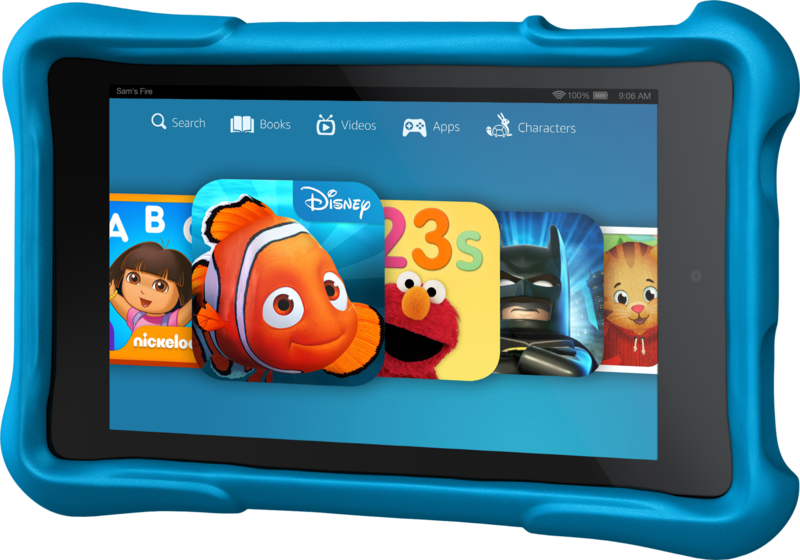 Amazon’s Fire 7 Kids Edition Tablet even gives parents full control over what kids can see with a smart filter feature, which can be used to customize the content depending on age. 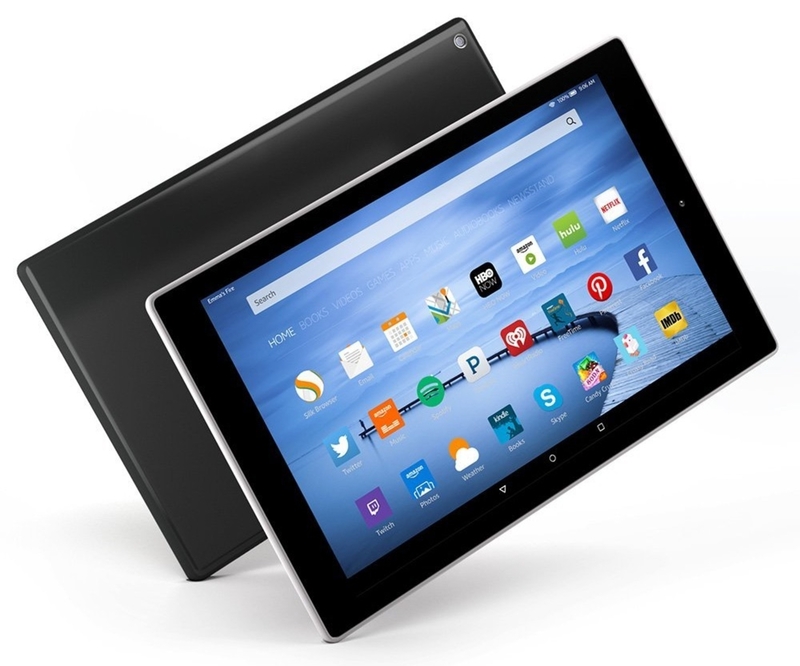 The tablet comes with a free one-year subscription of Amazon FreeTime Unlimited, offering access to books, movies, TV shows, and educational apps at no extra cost. In terms of specs, the tablet has a 7-inch screen with a resolution of 1024 x 600 px, a front-facing VGA camera and a 2-megapixel rear camera. With 16GB of expandable memory, there’s plenty of storage space for photos, videos, and books. The tablet is protected by a colorful case (available in blue, pink or yellow) which keeps it safe from shocks, drops, and scratches and can be used for 8 hours on one charge. Amazon Echo Dot is a discrete but mighty smart home assistant: discrete due to its ultra-compact form factor, and mighty because it’s packed with functionalities. With a diameter of only 3.3-inches and a weight of 250 grams (8.8 oz), Echo Dot can be easily moved around your home, so you always have it within your reach. You can use voice commands to control your smart home devices (thermostats, lights, TVs) and to get help from Amazon's smart assistant. With Alexa, you can check your calendar, buy items from Amazon, set alarms, order a taxi and get answers to any important questions you might have, such as "How to prepare guacamole?". 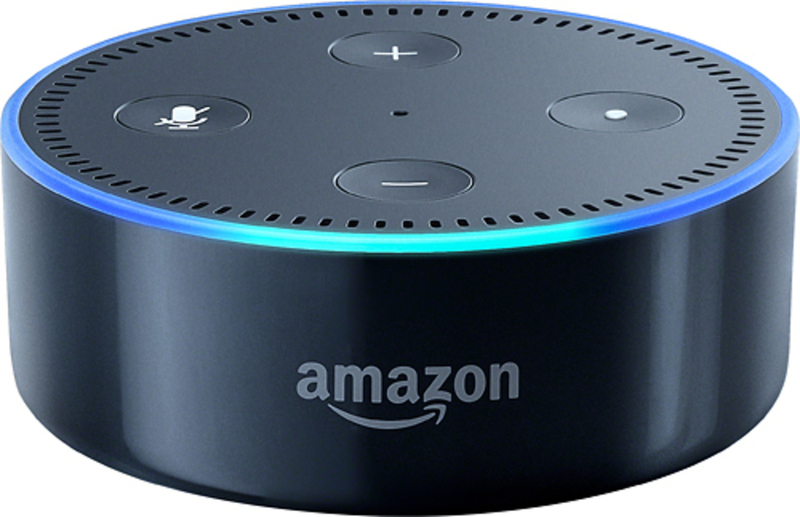 Echo Dot can also be used as a Bluetooth speaker for playing music, but even then you won’t need to worry – Alexa will still hear you because the Echo Dot has seven microphones, advanced noise cancellation, and far-field voice recognition. One year after the successful global release of Amazon Echo, the company unveiled the second-generation Echo device this October. The new Amazon Echo is completely re-designed and has a smaller form factor. Users have can choose from six stylish fabrics and wood veneers: charcoal, heather gray or sandstone fabrics and oak, walnut or silver finishes. Besides the new look, the second-generation Amazon Echo offers better sound quality. It has a 2.5-inch woofer and a 0.6-inch tweeter, delivering rich and powerful sound; furthermore, it has seven microphones and advanced noise cancellation, as well as far-field voice recognition. With this advanced audio technology, your voice commands can’t be missed: no matter where you are in the room and no matter how noisy the environment is, Alexa will hear you. 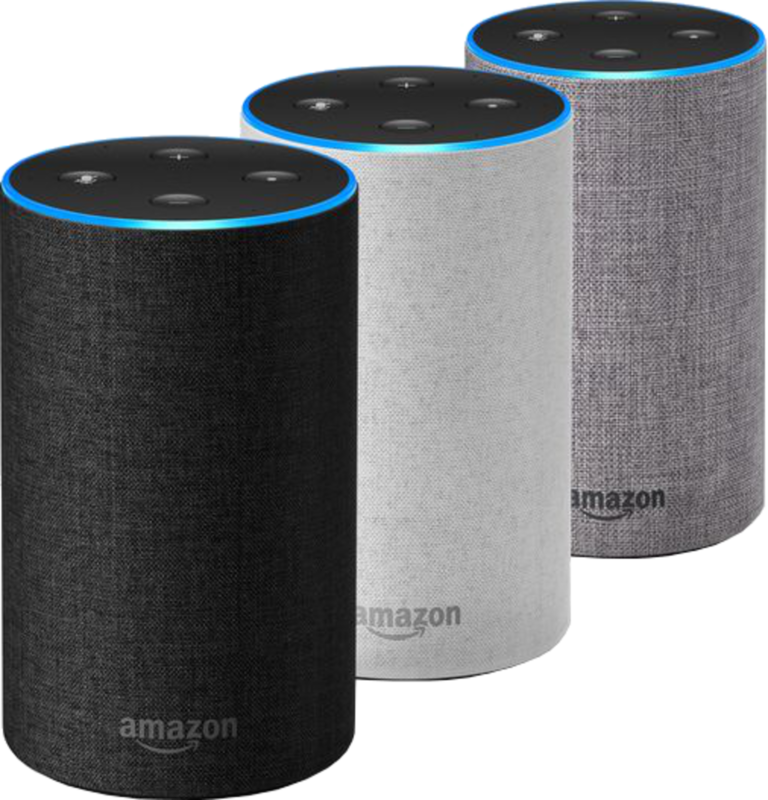 Just like with any other Echo device, you can use voice commands to control smart devices in your home, for hands-free calling and messaging, to order items and to do much more, as new skills are added to Alexa every day. Black Friday shopping can become overwhelming and it’s very easy to get distracted – you might even forget what you actually need and buy lots of items which weren’t on your shopping list! It’s good to take advantage of the offers, but make sure you don’t forget about the items that are at the top of your list. Here are a few tips and tricks to help you stay organized during the shopping season. When you set eyes on a product on discount, don’t forget to check if other shops have that product – you might find it for an even cheaper price. There are plenty of platforms which help you find the best prices: Google Shopping, ShopSavvy, PriceGrabber and, of course, Versus, which also gives you all product specs and features at a glance. If you are curious to see pricing trends, you can check out CamelCamelCamel, a free Amazon price tracker. The saying the early bird catches the worm is especially true during the holiday shopping season. If you wait until Black Friday, you might be surprised to see that some of the best deals won’t be available anymore. That’s why it’s better to start early. Many retailers offer so-called "preview deals" which might be available again on Black Friday or during Cyber Week if stocks are not exhausted. Big retailers advertise big deals on social media and they often offer special discount codes or coupons. To make good use of these opportunities, follow your favorite shops on social media. With all great deals in your news feed, you’ll be one step ahead of other shoppers. If you prefer going to physical shops rather than shopping online, make sure you have your smartphone with you. You can easily search for additional info online and even compare up to seven products on Versus. With all specs at a glance, it will be easier for you to decide what to buy. If you are an Android user, you can use the free Versus app. Just remember to charge your phone before you go on your shopping adventure. It might happen that you aren’t completely satisfied with one of your purchases, or you might simply change your mind once you get to try out a product. This is always a risk when shopping online, especially when it comes to fashion items. To play it safe, make sure you check the return policies and always keep the receipt.